You Should Vote for Directer D.
Hello, Poptropicans. It has come to my attention that I am currently lagging in the polls behind Medusa. Elections such as these are about issues, and no issue is more important than a candidate’s appearance. I ask you to consider my perfectly coiffed salt-and-pepper hair, and then look at the hideous mess of wriggling snakes that Medusa calls a hairdo. Or, rather, don’t look at it, because you will immediately turn to stone. That’s the kind of villain she is. I, on the other hand, only want what’s best for you: a sleek, aerodynamic cranial appearance. I mean, honestly, Medusa? 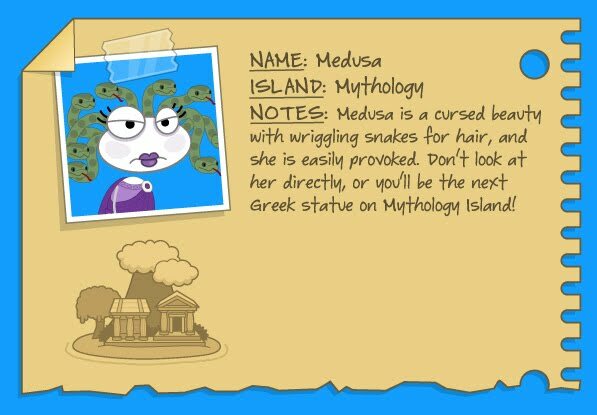 She’s not even the main villain on Mythology Island. Zeus is! Medusa is a miniboss at best. I don’t even think she’s qualified to participate in this election. Until we see her longform boss certificate, we should consider her an illegitimate candidate. You have one day left to vote in this round. 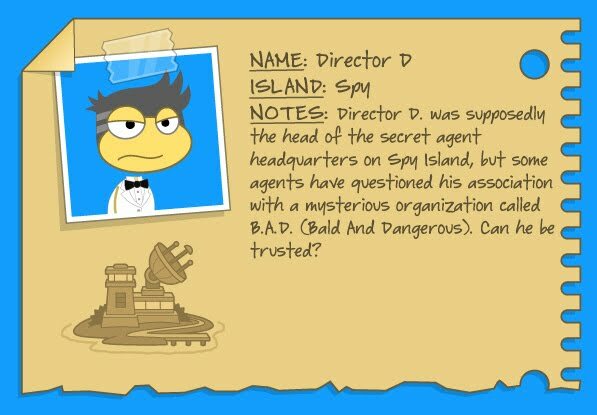 Vote Director D. for best Poptropica villain! 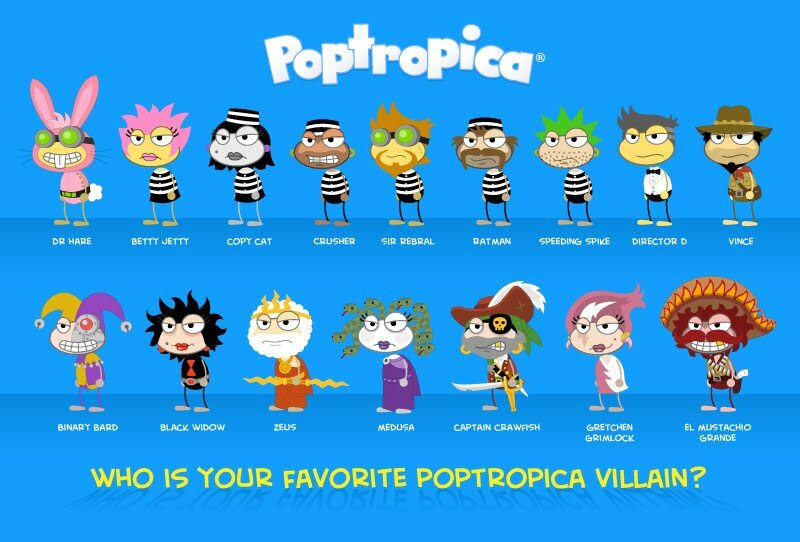 You can go to the Poptropica Creators’ Blog to vote for your favorite villain! The First Round of a Villain Showdown! On the Poptropica Creators’ Blog, there is a villain showdown going on! Here’s Shark Boy telling about it. The battle to crown Poptropica’s best villain has begun! Here are 4 of your first-round match-ups. We’ll open the remainder of first-round voting in a few days. This one will only be up for a limited time, so make sure to vote and have your voice heard! Click HERE to go to the Poptropica Creators’ Blog to vote! There has been one major change to Icy Comet’s Blog. That change is Popular Jumper isn’t part of Icy Comet’s Blog anymore. She was a wonderful author, and I know that everyone will miss her. 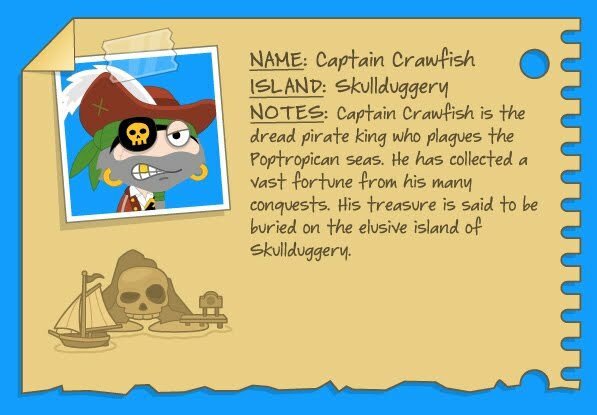 Here’s a post from the Poptropica Creators’ Blog, with Captain Crawfish getting all sentimental. 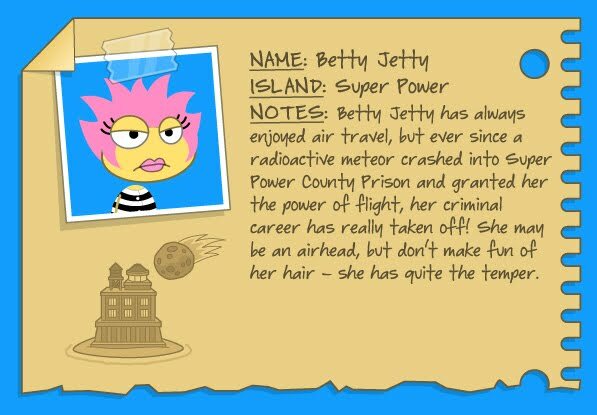 Time goes by so quickly on Poptropica. Hard to believe that it’s been a year since we started working on Skullduggery Island. 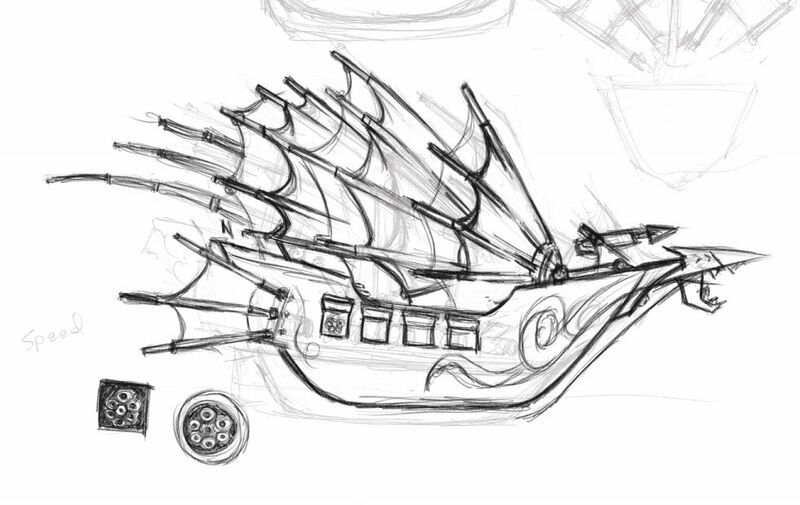 Here’s an early sketch of the Phoenix Warbird, dated from April 2010. Somehow, that ended up being the ship that sank… me! Incredible. I don’t get why he is getting so sentimental… That ship did sink him! Sorry I haven’t been posting lately (I really need to start posting more)! 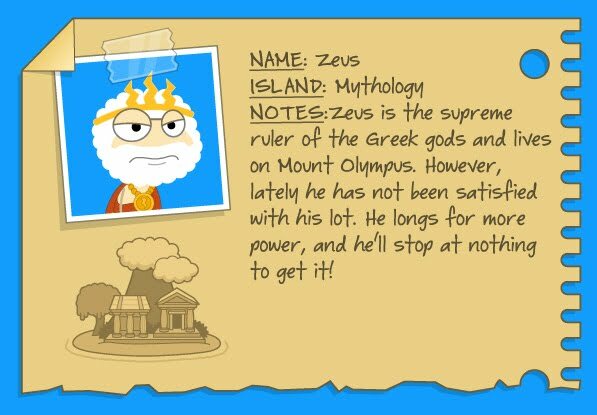 To make up for it, here are 4 posts from the Poptropica Creators’ Blog that all have at least a little bit to do with Red Dragon Island. Looking through the store, it seems there are even more Japanese-inspired costumes that can get you geared up for the upcoming launch of Red Dragon Island. This Geisha costume for girls comes with a special item. The Shamisen is a traditional three-stringed instrument found in Japan, which is a speciality of the Geisha. Put on this costume and press the spacebar to strum your Shamisen. Then sing yourself a happy tune as you await Red Dragon Island. The sneak preview of Red Dragon Island just keeps getting better. Now it’s easier than ever for Poptropica Members to get your Midnight Red Ninja costume. Just pick it up at the kiosk next to the ring! Now that’s what I call customer service. New in the Poptropica Store: the Midnight Red Ninja costume! This new ninja costume is inspired by the upcoming Red Dragon Island. The Midnight Red Ninja outfit is available exclusively to Poptropica Members. 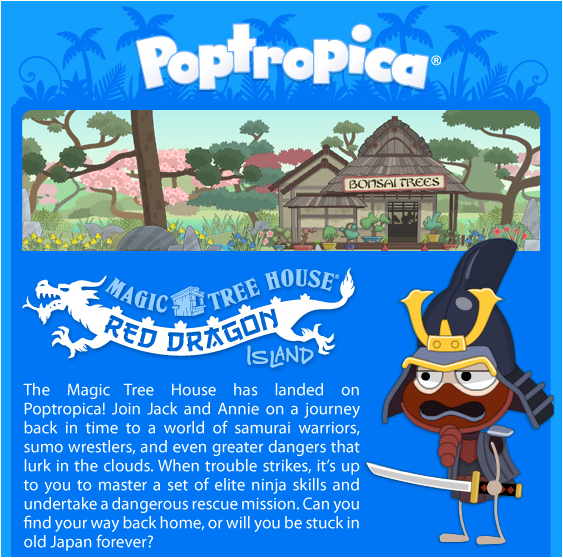 All Poptropicans can also pick up two classic Japanese-inspired costumes: the original Midnight Ninja, and the Samurai. I… wait. I, uh, mean Yokozuna. It’s an easy mistake. I didn’t say that because the Yokozuna wrestler looks like an old lady. Why would you even suggest that? If you’ve tried the sneak preview of Red Dragon Island, then you’ve probably had a chance to see the prizes that are up for grabs as you progress through the Sumo tournament. All players can move up one rank, and earn a special outfit and facepaint set for becoming a Maegashira. Besides the fancy duds, only those who have earned the rank of Yokozuna will get the special “Sumo stomp” ability. So what are you waiting for? If you’re a Members and haven’t become a champion yet, now’s your time! And if you’re not yet a Member, there’s still time to become one, and get these exclusive goodies before the Early Access launch of Red Dragon Island. Red Dragon Island now has an info page. Here’s Captain Crawfish’s post, telling more about it! Yesterday, we revealed the name of the next Poptropica Island. And now, you can find out more details about the story on our Red Dragon info page. Red Dragon Island will be available soon with Membership! 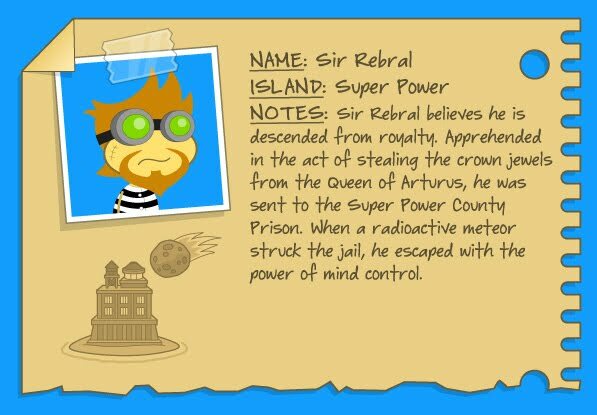 And keep visiting the Poptropica Creators’ Blog to get all the latest information on Red Dragon Island. The page says, “The Magic Tree House has landed on Poptropica! Join Jack and Annie on a journey back in time to a world of samurai warriors, sumo wrestlers, and even greater dangers that lurk in the clouds. When trouble strikes, it’s up to you to master a set of elite ninja skills and undertake a dangerous rescue mission. Can you find your way back home, or will you be stuck in old Japan forever? More news on Red Dragon Island coming soon! I know I haven’t posted in a long time! I’m so sorry about that! Anyway, here are 4 recent posts from the Poptropica Creators’ Blog, these are ones that I think are actually important. 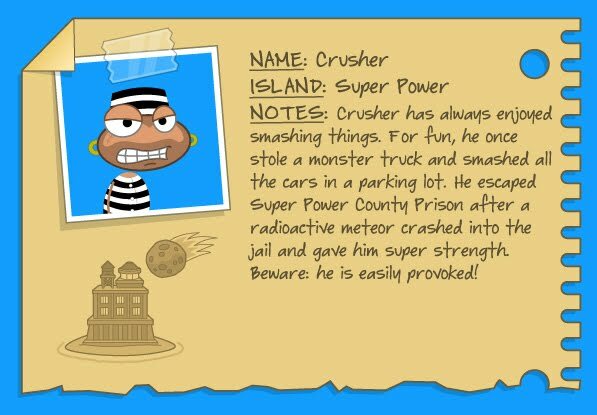 The first post is telling about a new game to play on Poptropica. If you’ve played through Wimpy Wonderland already, then you know that a key puzzle is figuring out how to get Greg to stop playing Twisted Wizard. But if you haven’t played Wimpy Wonderland yet, then there’s a surprise in store: you’ll have to beat Twisted Wizard for him! That’s right, now you can play Twisted Wizard in Wimpy Wonderland. Don’t fret if you’ve already completed the Island. You can play Twisted Wizard at any time by visting the “games” tab in your inventory. It’s three levels of ogre-zapping fun. And here’s a helpful tip: You can rotate the blocks by pressing the space bar. 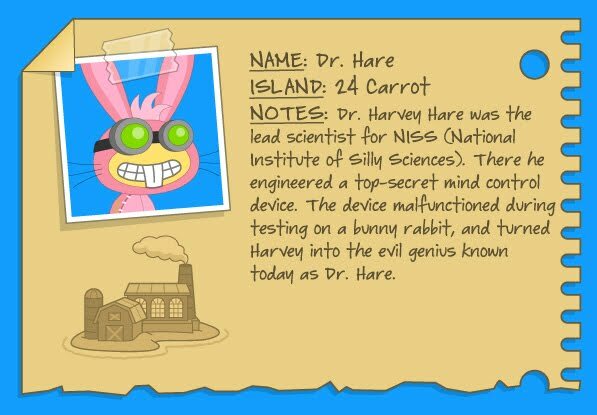 The second post is about a new item in the Poptropica Store, called Prank Cans. Unfortunately, you have to click on the link to see the video.